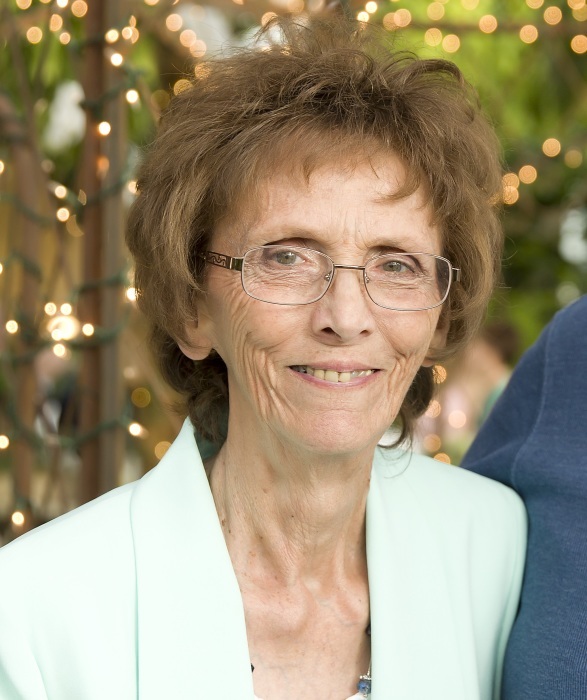 After 77 years of a life filled with love and joy, Kathryn (Kay) Ann Christensen passed away peacefully the morning of January 11, 2019 surrounded by family. Kay was born in 1941 in Malad, Idaho. She was the baby of the family, protected by five older brothers. She graduated from Butte High School in 1959, and married the love of her life, Claude Christensen, on February 17, 1961.
friends and family at the Legion Hall in Aberdeen. Kay held a deep love for all her family. She had a special love for her grandkids, great grandkids and all of her nieces and nephews. Kay had a wonderful gift of bringing people together and would often host family gatherings that have led to many lasting memories. Kay will be missed for her bright spirit, strong work ethic and middle finger. Family and friends will forever remember her beautiful smile, kind heart and creative words of endearment. Kay is survived by her husband, Claude, and her two children, Rex (Rhonda) Christensen and Robbyn (Roger) Fehringer. Kay is also survived by her six grandchildren and five great grandchildren. She is preceded in death by her parents, Trinket and Blodwin Jones, and her five brothers. A viewing will be held on Friday, January 18, 2019 at Davis-Rose Mortuary, 170 Idaho St, American Falls, Idaho. A burial will be held at the Aberdeen Cemetery on Saturday, January 19, 2019 at 2pm followed by a Celebration of Life at 3pm at Ken and Stephanie Feld’s residence, 2866 W 2100 S Homestead Rd, Aberdeen, Idaho.